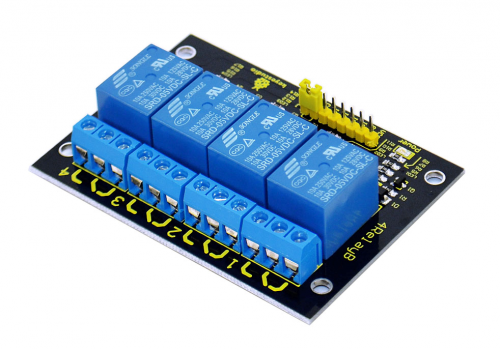 keyestudio Relay Shield employs high quality relay with four channels input and output. It can be connected to 250V/10A AC element or 24V/10A DC element to the maximum, therefore, it can be used to control lights, motors, etc. 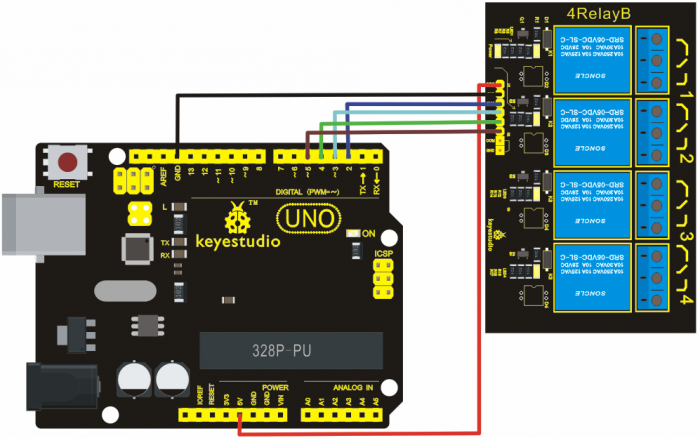 The modularized design makes it easy to connect to Arduino expansion board. The output state of the relay is shown by a LED for the convenience of actual application.